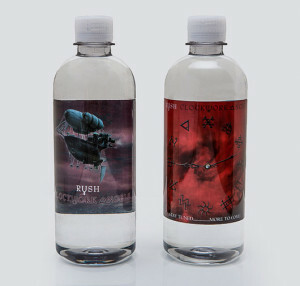 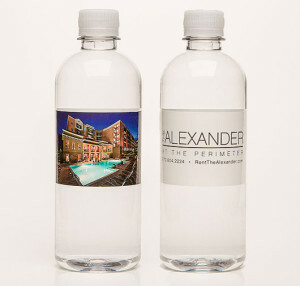 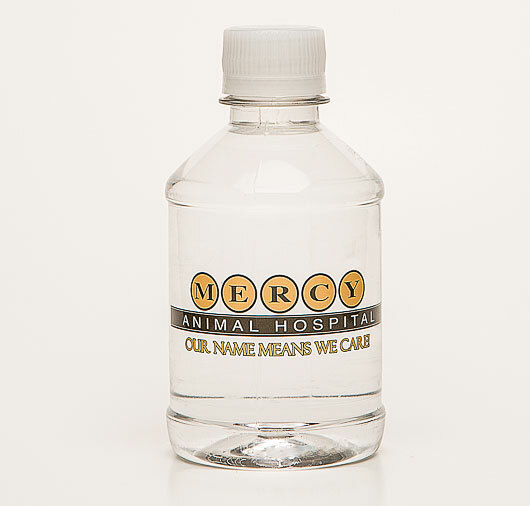 The label is your “billboard,” and there are a variety of ways water bottle labels can be used. 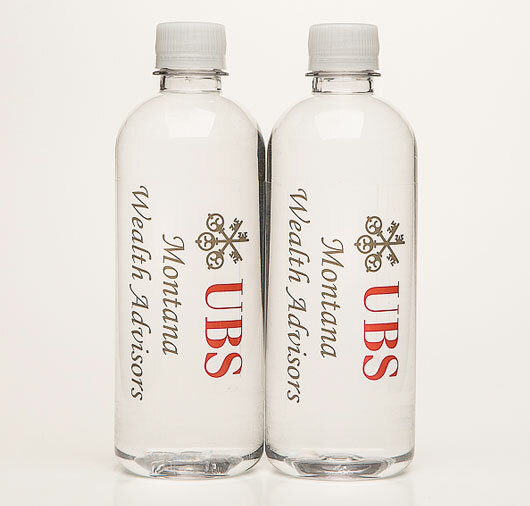 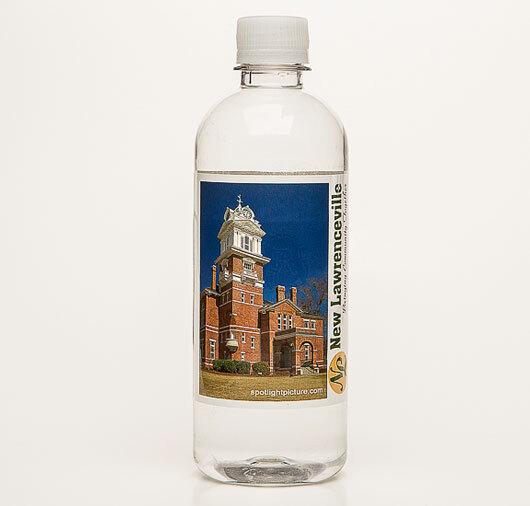 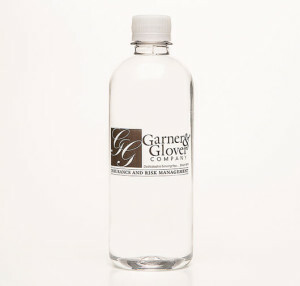 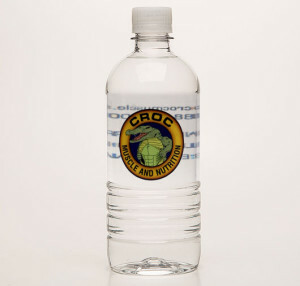 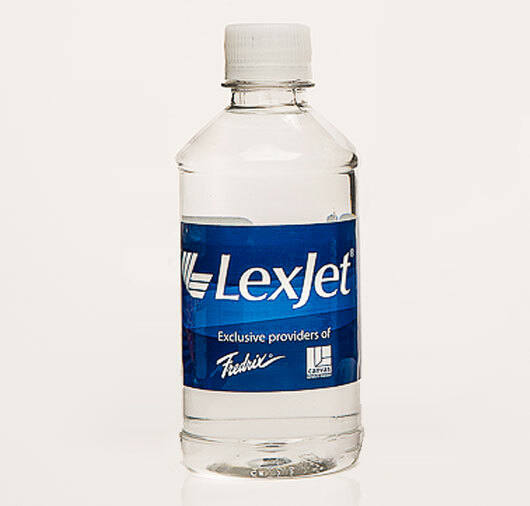 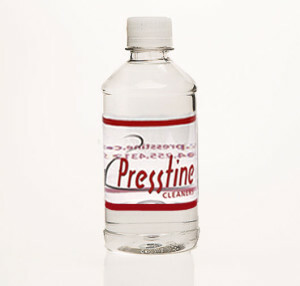 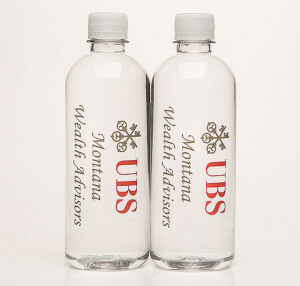 We use quality water resistant bottle labels that wrap around the entire bottle thus maximizing your advertising space. 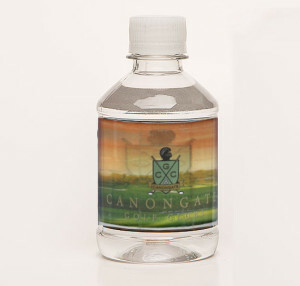 The custom labels don’t adhere in just one or two spots; they adhere to the entire surface area around the bottle that the label comes in contact with. 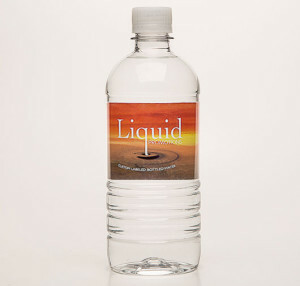 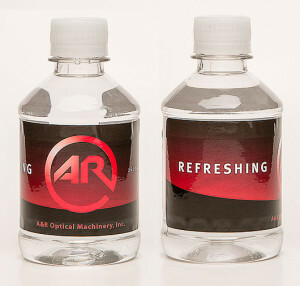 The colors are limitless and Liquid Promotions has the ability to provide clear, photo quality and even 3D labels. There are five bottle sizes available and our labels come in 3 types – Standard, Ultra Clear and 3-D. 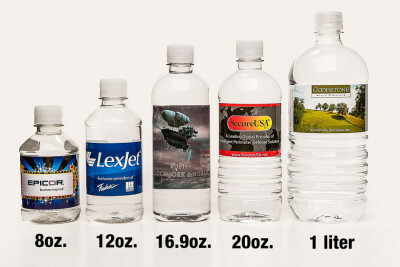 The labels come in a variety of sizes. 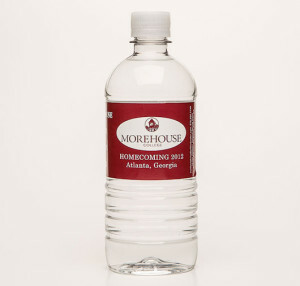 For all orders, we have a one time set up fee of $80. Shipping costs are quoted by the order. Creates a classy modern look. With this label an image is visible through the water. 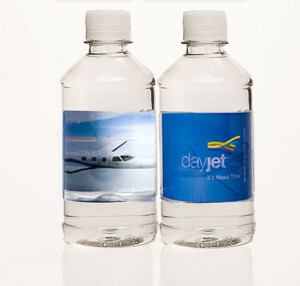 Images are used opposite the image seen through the bottle to create a layered or 3D effect. 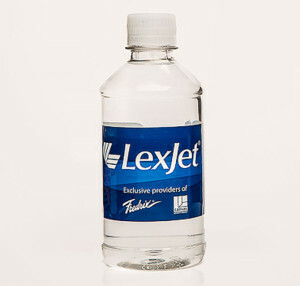 Perfect for situations where multiple graphics or images are used. 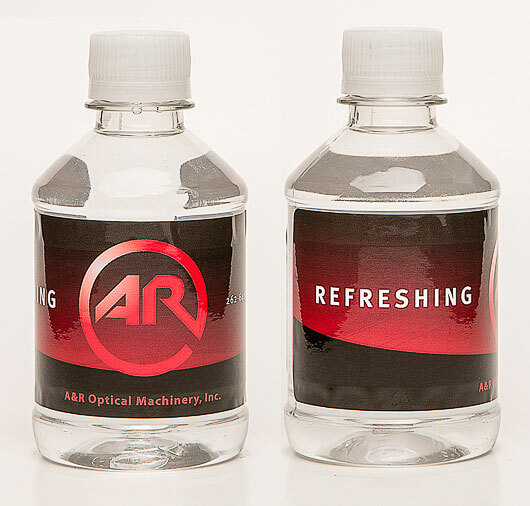 This option provides more printed surface area than any other option. 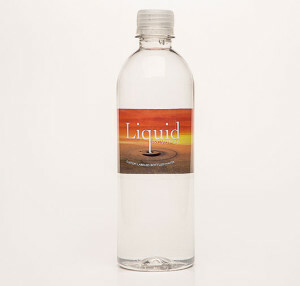 With this label a large image is visible through the water.